With turbulence set to get almost 200% worse with climate change, Boeing wants to help pilots avoid the pockets of air responsible for hundreds of injuries each year. Turbulence is a serious problem for airlines the world over. Firstly, the FAA says that 44 people were severely injured by turbulence in 2016. In addition, injuries from turbulence are estimated to cost US air carriers over $200m each year. Given these figures, it is no wonder that Boeing want to help detect turbulence up ahead. Turbulence is the name for a pocket of air that causes an aircraft to suddenly jump up and down. Though this is not normally dangerous, it can make a flight especially uncomfortable for passengers. Turbulence is defined by the FAA as causing “large, abrupt changes in altitude and/or attitude usually accompanied by large variations indicated airspeed”. While most turbulence simply makes for an uncomfortable ride, or a few spilt drinks, the worst can cause serious injury. The problem with turbulence is that up until now it has been largely invisible. Clear air turbulence is usually only visible through experience, meaning that when the captain sets the seatbelt sign, he is often acting on reports from other aircraft in the area. 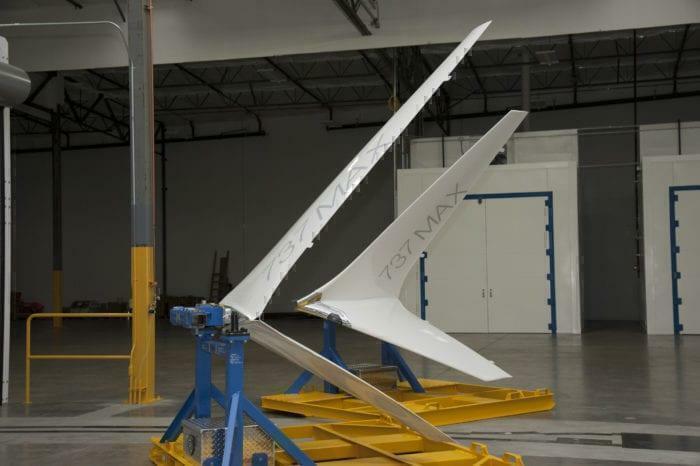 Boeing’s new wing tips aim to further cut turbulence generated by wing tips, while improving fuel efficiency. Photo: Boeing. How Does Boeing’s System Work? The “Lidar” system on the front of the aircraft emits pulses of lasers. These detect changes in wind by looking at wind speeds. 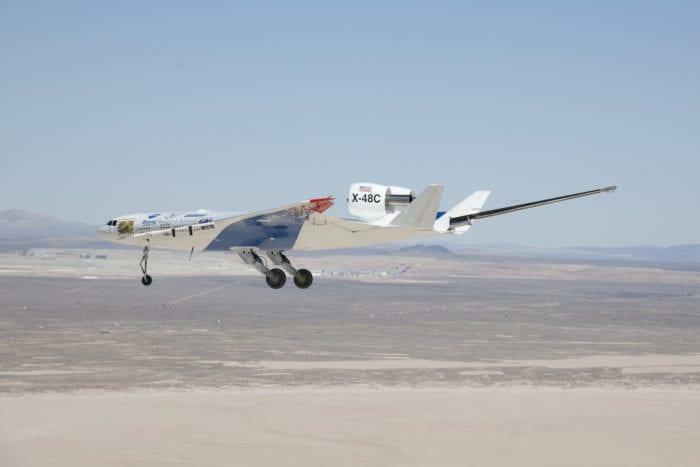 It achieves this by tracking light reflected by particles in the sky to the aircraft’s optical sensor. Software analyses the velocity of the wind ahead. When it sees significant changes, it indicates the presence of clear air turbulence ahead to the pilot. This would the alert the pilot that clear air turbulence is present directly ahead. Unfortunately at the moment this system is only suitable for the 10 miles immediately in front of the aircraft. This means that for an aircraft travelling at 550mph, the pilot will get around a minutes notice before encountering the turbulence. While this may not be enough time to avoid the problem, it is more than enough time to flick the seatbelt sign on, leading to passengers fastening their seatbelts. 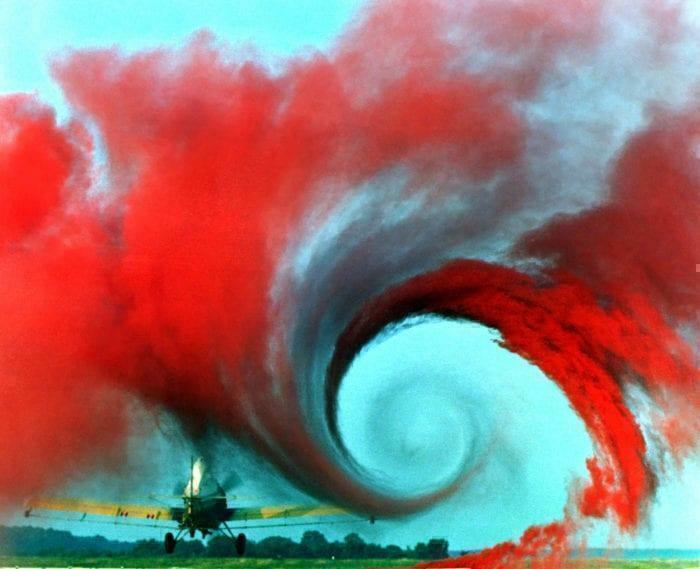 A NASA experiment showing turbulence caused by wing tips. Why Is This So Necessary? The airplane had turned three times around its longitudinal axis, during which the occupants had been thrown against the ceiling and the seats. Whatever happens with Boeing’s new Lidar system, it would be wise to listen to the crew next time they tell you to keep your seatbelt fastened.